The Strategic Plan for Prevention 2016-2019 for the Lakes Region-Mount Washington Valley Regional Network addresses substance misuse and disorders, and is a result of a coordinated effort by many local community leaders and organizations as well as key funders and technical assistance providers. promote youth development, reduce risk-taking behaviors, build assets and resilience, and prevent problem behaviors across the life span. 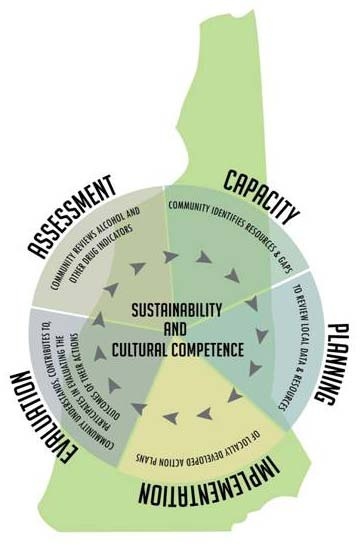 The SPF is built on a community-based risk and resiliency approach to prevention and a series of guiding principles that can be utilized at the community level to build capacity for substance abuse prevention, and in so doing, promote resilience and decrease risk factors in individuals, families, and communities.